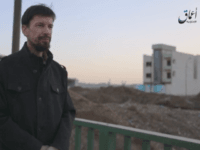 Perennial Islamic State hostage/spokesman John Cantlie has once again resurfaced in an ISIS propaganda video, this time touring the destruction in the ISIS-held areas of Mosul and interviewing local men sympathetic to the terrorist group, who appear increasingly frustrated with the lack of resources and difficultly getting around the city. 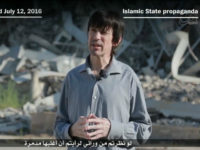 British journalist John Cantlie, who has appeared in a number of Islamic State propaganda videos and magazine articles since he was kidnapped in Syria in 2012, reappears in a new video after a four-month absence that raised concerns about his continued survival. 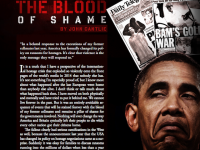 As with previous issues, the latest release of the Islamic State’s propaganda magazine Dabiq features a piece ostensibly written by hostage John Cantlie, a British photographer kidnapped in 2012 alongside subsequently murdered American journalist James Foley. 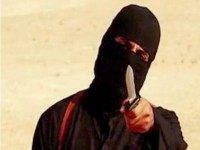 British hostage John Cantlie allegedly penned an article in the Islamic State’s (ISIS/ISIL) Dābiq magazine. It is his first appearance in over six months. The Islamic State (ISIS/ISIL) claims it has access to nuclear weapons through the nation of Pakistan, according to an article by longtime ISIS captive John Cantlie in the latest issue of their official magazine, Dabiq. 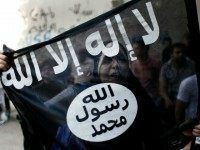 An investigation by Vocativ has found the Islamic State releases what they describe as “softer” propaganda in areas they captured or want to capture, instead of more well-known videos of slaughter and executions that are intended for a Western audience. 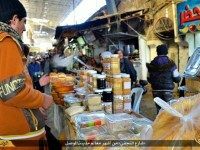 The Islamic State (ISIS/ISIL) has developed a significant volume of propaganda as they extend their caliphate through Iraq and Syria, based both on their military prowess and attempts to depict their civilians as living the good life. A tourism brochure advertising the alleged high quality of life in Mosul, Iraq is their latest effort to entice the world to join them. 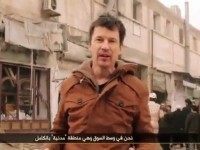 For the tenth time since taking him hostage, the Islamic State (ISIS) has paraded British journalist John Cantlie as the “host” of one of its propaganda videos, this time giving a guided tour of the contested Syrian city of Aleppo, which ISIS seeks to portray as functional and productive under its control. 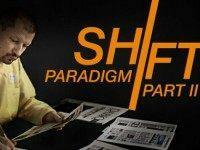 The Islamic State (ISIS/ISIL) will launch their very own TV channel to broadcast propaganda 24/7 and recruit new members. 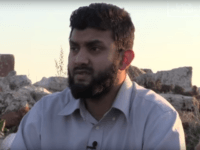 John Cantile, the British hostage of the Islamic State (ISIS/ISIL), appears in a new video on YouTube published by the terrorist group’s al-Hayat Media Center.